What are the Most Common Valerian Effects? Potential side effects of valerian include daytime drowsiness and blurred vision. Valerian root is a herb that is often used to treat insomnia, anxiety, depression, and muscle pain. Valerian might cause some people to feel more sleepy. Valerian is an herbal supplement used for a variety of purposes, mostly relating to its ability to calm most people. Intended valerian effects include reduced anxiety and an improved ability to sleep, as well as relief from headaches. Unintended side effects include drowsiness, blurred vision, and restlessness. Side effects are common even when the herb works as intended, but the plant is mostly harmless. The most common use of valerian root is for mild sedation. While valerian may cause an intense experience for some people, most people only experience a gentle sedative effect. Valerian root is thought to be successful as a sleep aid, but it may cause problems while asleep. People may experience night terrors or disturbing dreams if particularly sensitive to valerian effects, and many people experience drowsiness upon waking. Reduced anxiety is another one of the more desirable valerian effects. People who consume valerian often report feeling more relaxed, although they may also feel sleepy. In many cases, lack of sleep and anxiety are related, and may also cause headaches. It is this spectrum of problems that valerian most appropriately addresses, particularly cases where anxiety is combined with stress-related insomnia. A person who experiences anxiety due to a specific stimulant rather than general anxiety may not find valerian an appropriate treatment. There are several valerian effects that may be considered undesirable, although many of these occur only at high doses. Dry mouth, nausea, and headaches are all possible side effects. This herb is also unfortunately known to cause the very symptoms from which it is intended to provide relief, particularly if taken for long periods of time. Increased anxiety and sleeplessness may occur as a result of valerian, and can be worse than the condition being treated by the supplement. It is uncommon, but possible, to experience much more serious effects, such as liver failure or severe allergic reactions. Yellow eyes, rashes, swelling, or pain may all indicate a serious reaction to the valerian. This herb may also have particularly bad effects on pregnant mothers and fetuses. As this supplement has not been thoroughly studied by any regulatory agency, and not all supplements accurately display their ingredients, it is a good idea to stop taking valerian at the first sign of a negative reaction. While valerian is generally seen as a non-toxic herb, if the supplement includes unlisted ingredients or an allergic reaction occurs, it can be very dangerous. 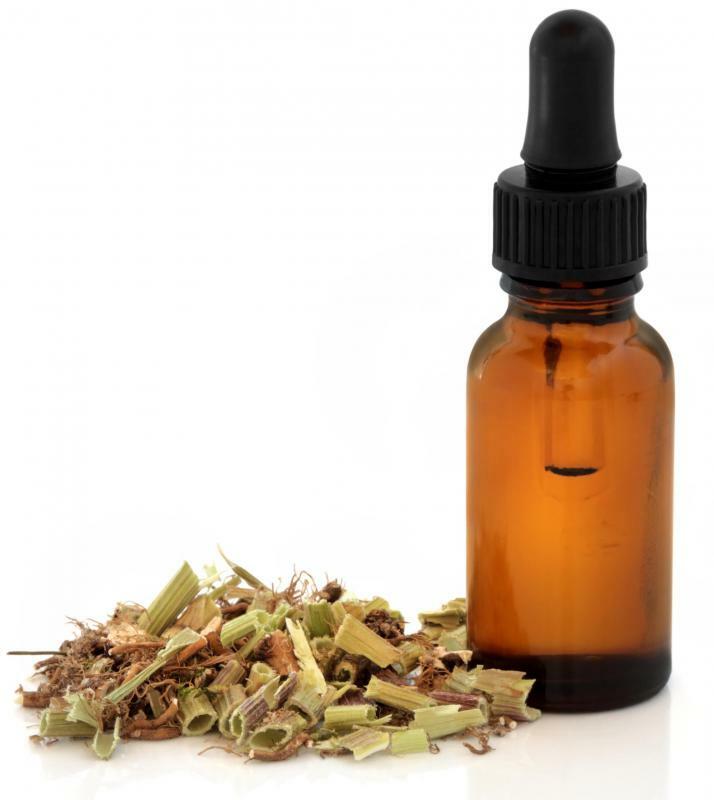 What is a Valerian Tincture? How do I Choose the Best Valerian Supplements?